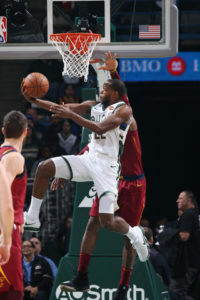 Lebron James imposed his will on the Milwaukee Bucks on Monday night as the Cavaliers pulled out a 124-117 win. With Cleveland head coach Tyronn Lue announcing earlier in the day that he would be taking a leave of absence to address health issues, James responded with his third triple-double in the last four games, 16th of the season and 71st of his career. James tallied 40 points, 12 rebounds and 10 assists to move four games in front of the Bucks in the NBA Central Division race. Kevin Love also returned to the Cavaliers lineup after missing six weeks with a broken left hand, scoring 18 points in 25 minutes. Giannis Antetokounmpo had 37 points and was perfect (11 for 11) at the free throw line. Khris Middleton added 30 points on 11 of 16 shooting, but the Bucks fell into eighth place in the Eastern Conference after Miami knocked off Denver. The Bucks once again struggled to defend the three. 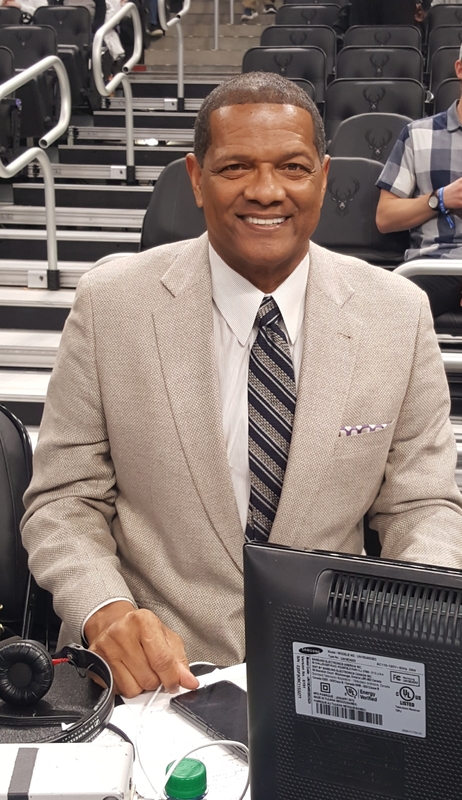 Cleveland his 15 of 38 from distance, while the Bucks were just 8 of 31. The Bucks (37-33) will return to Milwaukee to host the Los Angeles Clippers on Wednesday night. The Cavaliers honored former Browns tackle Joe Thomas, introducing him to the crowd during a timeout. Thomas, who held his retirement press conference on Monday, received a standing ovation. The Wisconsin native played his college football with the Badgers. 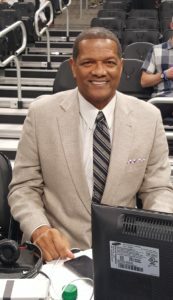 The Atlanta Hawks 103-76 win over Charlotte on Tuesday night, clinched the fifth seed in the Eastern Conference, locking the Milwaukee Bucks into the number-six spot. It means the Bucks will open the NBA playoffs against the third-seeded Toronto Raptors. 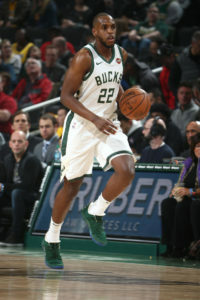 The Bucks clinched the sixth-seed with a win over Charlotte on Monday night at the BMO Harris Bradley Center. The Bucks close out the regular season at Boston on Wednesday night and they’ll be resting a number of their players. The Bucks made the trip out east without Giannis Antetokounmpo, Matthew Dellavedova, Tony Snell and Khris Middleton. Their starting lineup against the Celtics is projected to be Mirza Teletovic and Michael Beasley at forward, Thon Maker at center and Malcolm Brogdon and Rashad Vaughn at guard. The Celtics can clinch the top overall seed in the East with a victory. A Celtics loss and Cleveland win would mean the Cavaliers would get the top seed. But the Cavaliers are playing their final game while resting Lebron James and they’re 0-7 without him this season. Cavaliers had no answer for the Bucks! The Milwaukee Bucks played Golden State and Toronto tough, but lost. 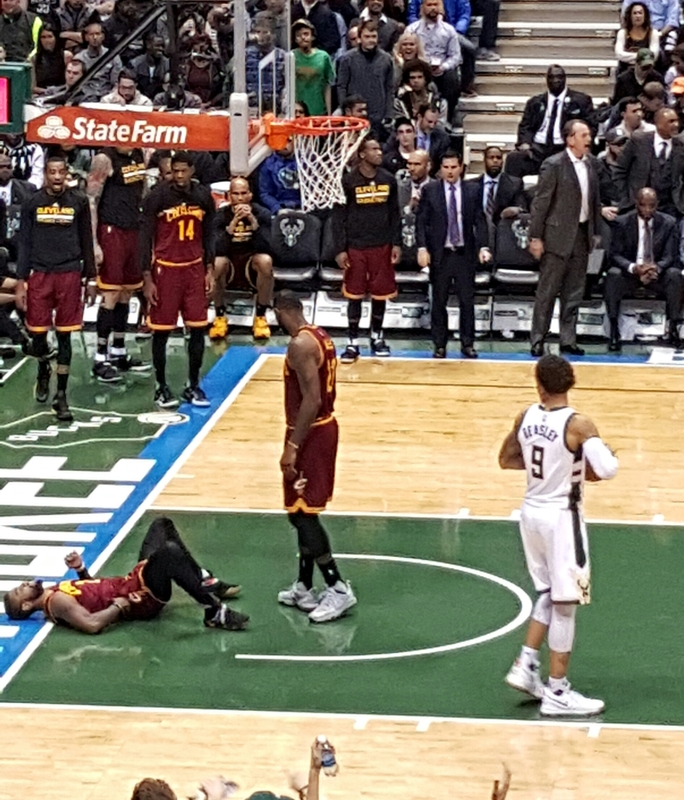 Tuesday night, they got over the hump by rolling to a 118-101 win over the defending NBA Champion Cleveland Cavaliers at the BMO Harris Bradley Center. Giannis Antetokounmpo tied a career high with 34 points, adding 12 rebounds, five assists, five steals and two blocks with 16,559 looking on at the Bradley Center. 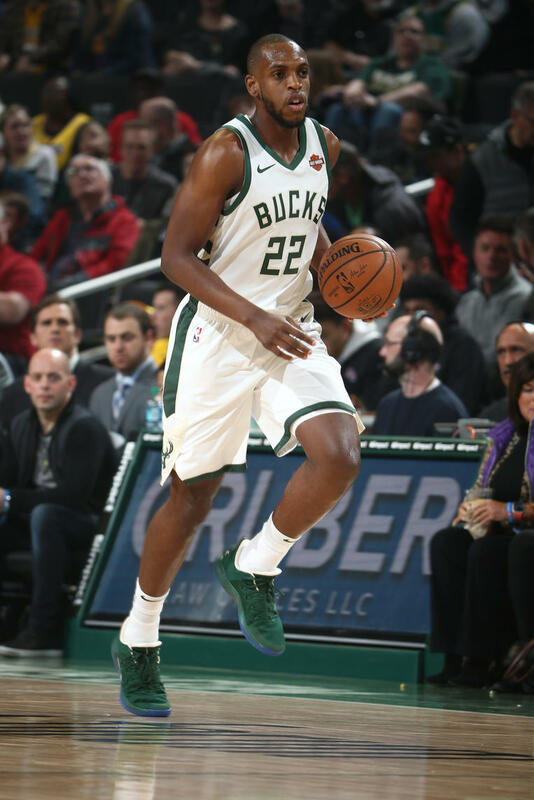 Jabari Parker added 18 points, Michael Beasley 17 and Greg Monroe 14 points and six points to lead the Bucks (8-8). LeBron James had 22 points, Kyrie Irving had 20 and Kevin Love added 13 points and 13 rebounds for the Cavaliers (13-3). The Bucks shot 53.5% from the field and held the Cavaliers to 42.7% from the field. The Cavs also attempted 39 three point shots, making just 14.